Buried Bridges: Are They Right for My Project? According to the American Society of Civil Engineers (ASCE) 2017 Infrastructure Report Card, 188 million trips are taken every day across structurally deficient bridges. For many cities and counties, the desire to repair their bridges is tempered by the reality of the high cost to do so. Because the funding does not meet the need for rehabilitation, those in charge are turning to alternative methods to replace these potentially hazardous bridges with safe, sound infrastructure. One example is the use of buried bridges. A buried bridge is simply a prefabricated structure, typically of steel or concrete that spans a stream or a transportation corridor and is backfilled with earth or other material. The structures are typically arched or three-sided and do not have a floor to them. For grade separations, they are used to span roadways, railroads, or trails. Buried bridge technology can be an effective alternative to span bridges or large box culverts. However, there are several factors to consider before deciding to use a buried bridge for your project. There are a number of different kinds of structures to consider when it comes to buried bridges. 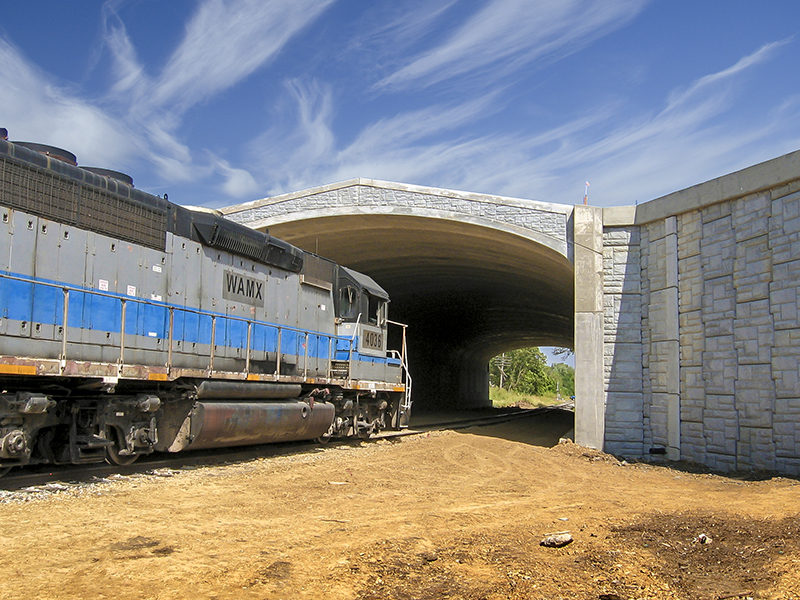 These can include structural plate bridges, large diameter steel culverts, and precast concrete arches. Each structure type has unique properties that will determine if it is right for your project parameters. Buried bridge technologies can be a cost-effective alternative, but there are some limitations to their design. Much of the benefit of buried bridge products is the “off the shelf” design aspect. This feature reduces the design time and complexity of construction, but those benefits come with a trade-off with respect to flexibility. A traditional bridge is custom designed for the specific needs of a project. However, with buried bridges, it is more about finding the best fit from a standard set of sizes and shapes, which have been pre-engineered with specific geometric and hydraulic properties. If there is a good fit for the site conditions, it is a great alternative. Conversely, if soil conditions or site geometry are not conducive to using one of the predetermined options, then customization can prove costly and sometimes outweigh some of the benefits of using the buried bridge technology. The variety of options with buried bridge technologies continues to expand allowing more flexibility in design. For stream crossings, typical hydraulic engineering analysis will be required to determine the appropriate height and span of the structure needed, as well as the design of the hydraulic opening itself. If debris is common at the site, the hydraulic analysis should account for clogging. Consideration must be given for flood stage hydraulic forces on the structure and channel floor. A scour analysis must be performed at every stream crossing. Riprap is commonly used to protect the buried bridge foundations and must be adequately sized to function properly. For grade separations, the engineer must determine the needed clear roadway width and the clear height for trucks or railcars. For either stream crossings or grade separations, structural design is required for the footing, stem walls, and retaining walls. Adequate cover is crucial to the buried bridge design. Cover requirements should be considered during preliminary design. Construction costs and maintenance are both critical factors to consider when choosing whether to use buried bridge technologies. Although traditional span bridges are individually designed and configured to the project specific parameters, buried bridges offer simplicity of construction that is hard to match with a conventional bridge. If time is a critical factor with the project, it behooves a designer to consider buried bridge technology as an alternative. The nature of these technologies can allow for shorter construction shutdowns and field curing times for concrete. Furthermore, the absence of a bridge deck often means that the bridge can be opened to traffic more quickly after construction. In addition, the lack of complexity and exposed structural surfaces can sometimes mean that long-term maintenance and inspection costs will be lower than those associated with span bridges. However, buried bridges are not maintenance free. For example, if debris is common at the site, the owner may have to routinely clear trees and repair the channel. As communities strive to create a sense of place, the aesthetics of bridge design have become increasingly important. Both traditional span bridges and buried bridge technologies have widely varied options for changing the looks of a bridge. This is more limited for large reinforced concrete box bridges. 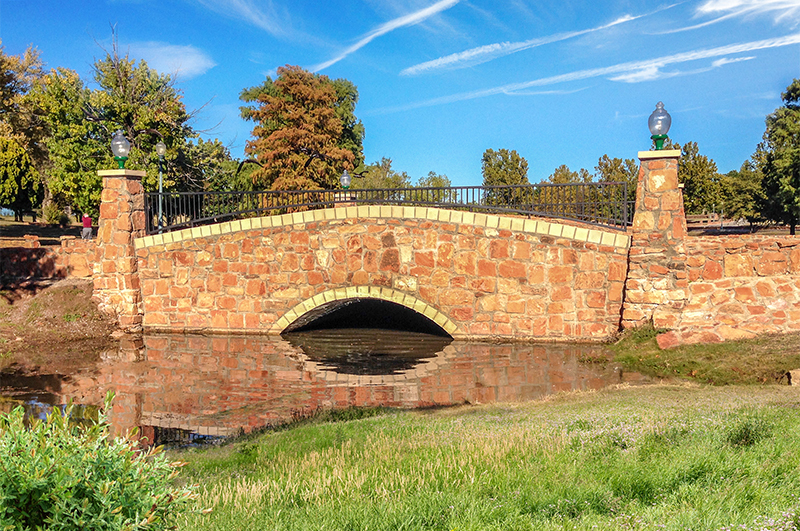 Buried bridges and retaining walls especially have a wide variety of options for exterior materials and colors, though it is essential to weigh the aesthetic advantages against any structural or hydraulic limitations before deciding on a technology for your project. As with any engineering problem, choosing the right bridge technology is about finding the proper method to fit the situation. This is best accomplished when the designer is knowledgeable about all the technologies and options available. Although not right for every project, when carefully considered, buried bridges can be a viable and cost-effective option.